Hi y'all! This morning (yes, I'm still unorganized and writing my posts on my lunch break the day of - whooops) one of the children at work said to me 'Kayla, its finally Friday!' and I couldn't help but laugh at a 4 year old counting down the days to the weekend the same way I do. I don't have many plans for this weekend, which is fine by me, other than going out with the family for Mama Bear's birthday supper. Tomorrow the weather is supposed to take a turn for the better and is supposed (I wont hold my breath...) to get up to +14 so I'm reallly hoping the weather people are right so that there is some beer pong playing in my very near future! 3// The Ashley Nevis print that I won through Laura's giveaway arrived in my mailbox yesterday (passport AND the print all at once = best mail day ever!) . I love it SO much and I can't wait to frame it on my desk and order more prints! 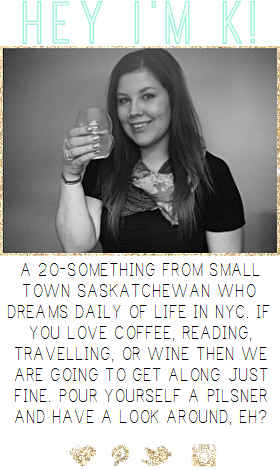 4// I'm thisclose to booking my July Vegas trip for my sister's Dirty Thirty and that makes me sooo happy! Three of my closest friends (and my sisters) from high school have committed to coming and there are a couple other people still thinking it over - it's going to be a great trip! I can't wait to lay by the pool and soak up the sun. The snow just keeps on falling here so I need something to look forward to! 5// Now that my passport has arrived we can finally make plans to take my nieces on their late birthday trip. For their 2013 birthdays (both have September birthdays) my sister and I took them to Minneapolis and to the Mall of America for their birthday trip in November. 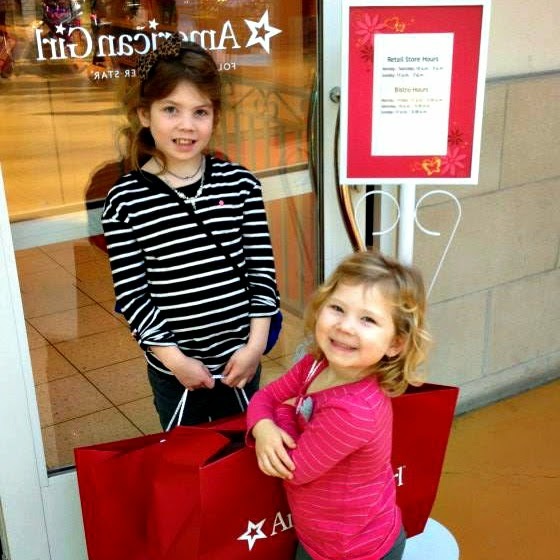 They got to use their birthday money to buy American Girl dolls, do some shopping, go to the aquarium and Nickelodeon Universe, and go swimming. We wanted to keep up the tradition of going each year for their birthday trip but couldn't make it work to go after their birthdays in 2014, but we were still planning on trying to make something work for early spring of this year. Toni finally figured out what days she could make work for taking time off work and then I realized that I might not have my passport back in time to be able to go. Thankfully everything with my passport worked out and we can now start planning our quick weekend getaway to the Twin Cities. Have I also mentioned that I'm going to the Twin Cities at the end of May with my brother and (soon to be) sister in law? They are both big fans of the Toronto Blue Jays and went down last year to watch the Blue Jays play the Twins and they are going again this year and I'm tagging along. I'm SO not a baseball fan - the only sports I like to watch on tv are football and curling (and anything during the Olympics) - so I'm mostly just going to getaway from O-town. I'm only going to two of the three games and I'll hang out at the mall while they attend the third game. Yay for some trips planned (even if they are to the same places I always go...)! I can't believe how little they were here! Vegas!!!! Yep, I need a trip there very soon. Apparently they have direct flights there from where I live (Austin) so I fee like there's no excuse. Well, except that I'm pregnant. Maybe I'll wait until after my daughter arrives haha! !